You Want To Be – In Less Than 10-Minutes Per Day!" trouble relaxing and getting a good nights sleep? irritable – even with trivial things? Are you plagued by indigestion or other digestion problems? Is your present medication just covering the symptoms? dictating how you try and live your life? It’s a fact: This is 21st century life – and the pressure and stress you’re under can lead to many of these health and lifestyle problems. health and fitness back on track? …is it any wonder confusion sets in? There’s so many questions that remain unanswered and perhaps you’re even asking yourself; "will any of these things really suit me anyway?" up to the ‘no pain, no gain’ way of thinking? Do you really want to risk a serious sports injury especially if you’re over 40?… seniors especially should keep in mind that intensive exercise may actually weaken resistance to disease. Perhaps you’re even thinking that exercise and you just don’t mix. Are generally happier, and, therefore, more fun to be with! substances called endorphins, which help people cope better with painful conditions, reducing the need for medications. And, since endorphins also improve the body’s response to stress, exercise helps you deal better with demanding situations. So, you probably want to keep active, but with a type of activity you can enjoy, sustain and look forward to, without dreading it or gasping for breath. anguish and worst of all …unfulfilled hopes and expectations. Surely there has to be another way to live a healthier, balanced life? Well, the good news is on its way: I’m about to show you a method where you can experience all the benefits of exercising, without the need for expensive, strenuous, and time-consuming exercise programmes. Religions and Buddhism and a teacher of Chinese Martial Arts. Institute of Buddhist Studies in Taiwan in 1993-1994.
leading T’ai Chi teacher in Penang, Malaysia. way through several books – and gave up before they were even half-way through. why is my teaching method so unique? …Now my T’ai Chi for Life, Health and Fitness ‘Action Sequence’ Method – Teaches you better than anything you’ve every seen! As you can see, they clearly show every foot, hand and body in its correct position in detail. This is vitally important to get right and is something you can easily miss in a photo, on video and even in class. sequence. This is exactly the kind of information you need to separate you from the average. to this course at any time and any place of your choosing. Imagine how pleased – and proud – you’re going to feel when everyone compliments you on your attention to detail and your graceful and elegant movements… Just watch your confidence soar! "Before the release of this collection, I would have said it was impossible to learn tai chi form correctly unless you had access to a teacher. Now for the first time it is possible for anyone with access to a computer or laptop to learn the form. Stewart McFarlane’s accurate breakdown of the form is presented in clear and easy to follow graphics and text. The realistic and precise drawings of the figure doing the form can also be run as an animated sequence in the PowerPoint presentation, making it available to learners of the form to learn the positions and movements in their own time, and at a comfortable pace to suit them. So for the first time, self-learners are not forced to learn at the speed of a teacher or class, but to control their own rate of progress." give you a balanced exercise routine where you don’t even get out of breath! And the best thing of all – you can do it almost anywhere – in the garden, the local park, the office, even in the comfort of your own home! No more making time, and paying for, the toil of turning out to the gym. No more hassle of travelling to and fro. No more turning out in the dark, wet and cold to go and practise. No more feeling awkward or embarrassed when in the company of those frustratingly trim 19 year olds. T’ai Chi routines (Forms) can also help you develop and maintain a focussed, calm and alert mind. Assistant professor of medicine at Harvard Medical School and director of the Tai Chi and Mind-Body Research Program at Harvard Medical School’s Osher Research Center. Tai chi is often described as "meditation in motion," but it might well be called "medication in motion." There is growing evidence that this mind-body practice, which originated in China as a martial art, has value in treating or preventing many health problems. And you can get started even if you aren’t in top shape or the best of health. Researchers have found intensive T’ai chi practice shows some favourable effects on the promotion of balance control, flexibility, cardiovascular fitness, and has shown to reduce the risk of falls in both healthy elderly patients, and those recovering from chronic stroke, heart failure, high blood pressure, heart attacks, multiple sclerosis, Parkinson’s, Alzheimer’s and fibromyalgia. PURPOSE: Individuals with osteoarthritis can experience difficulty walking and poor strength, possibly leading to falls and fractures. Exercise has been found to increase strength and bone mineral density. The purpose of this study was to determine the effects of 6 months of T’ai chi on knee muscle strength, bone mineral density, and fear of falling in older women with osteoarthritis. CONCLUSIONS: T’ai chi increased knee extensor muscle endurance and bone mineral density in older women with osteoarthritis, and decreased their fear of falling during daily activities. Further study with long-term follow-up is needed to substantiate the role of T’ai chi exercise in the prevention of fall and its related fracture. Source – Song R, Roberts BL, Lee EO, Lam P, Bae SC. Like other complementary and alternative practices that bring mind and body together, tai chi can help reduce stress. 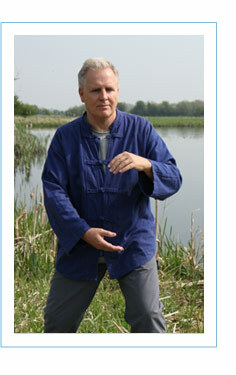 During tai chi, you focus on movement and breathing. This combination creates a state of relaxation and calm. Stress, anxiety and tension should melt away as you focus on the present, and the effects may last well after you stop your tai chi session. Tai chi also might help your overall health, although it’s not a substitute for traditional medical care. So, with all this in mind, I’m sharing my 25 years of T’ai Chi health-giving knowledge, teaching and experience with you. In just a few seconds, you’ll be able to get your hands on a unique resource that shows you how to increase your strength, lose weight, relieve nervous tension, gain flexibility and dramatically boost your energy levels… in less than 10-minutes per day. Follow 287-pages of detailed, step-by-step instructions. Each page has high quality, solid, easy to follow information, showing you how to perform and develop the Cheng Man Ch’ing Form in less than 10-minutes per day. Marvel at lavish full colour illustrations. ‘T’ai Chi For Life, Health and Fitness’ is jam packed with professional illustrations showing full details of every hand, body and foot position of the Form. As a well-known medical author quotes "I can safely say that I have never, ever, seen such beautiful work in my entire career. Not even for publications from the big publishers"
Now I know you may still be a little skeptical about how much it will help you but consider this: ‘T’ai Chi For Life, Health and Fitness’ is filled from end-to-end with ORIGINAL and exclusive T’ai Chi facts, personally researched and verified by me. No matter what level of fitness you’re presently at, the content inside ‘T’ai Chi For Life, Health and Fitness’, is, I believe, the best of its kind. So doesn’t it make sense to, at least, have a look and give it a try? All the slides are an exact copy of the full-colour illustrations in the main book, so you’ll be able to watch the movements as a slideshow. View individual moves and backtrack so you can practise anything that you find challenging… at your pace! Inside this special 72-page report, you’ll discover the rich, turbulent history of T’ai Chi Ch’uan and how it came to embody the physical and spiritual core of Chinese culture. made to your understanding and enjoyment of the subject. choosing a T’ai Chi coaching class. What to look for in a good T’ai Chi teacher. Get this wrong and you’ll be wasting your time, effort and money… and losing a lot more besides! Your total investment for the ‘T’ai Chi For Life, Health and Fitness’ course, complete with three valuable bonuses is only $27. 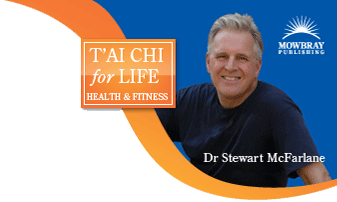 Never before has the complete and authentic, ‘T’ai Chi For Life, Health and Fitness’ package been available. This has only just been released to the public, so you’ll be getting the full course at this special low introductory price. The fact is: EXCLUSIVE knowledge like this can be worth many times the price to you for your continuing health and happiness. And don’t forget, your copy of ‘T’ai Chi For Life, Health and Fitness’ comes as an instantly downloadable ebook, so you can be digging into the contents in just a couple of minutes from now. I’m so confident you’ll get great value and an amazing experience when you’ve downloaded this product, I’ll fully guarantee your investment… I’m very proud of it. You’re fully protected by my iron-clad money-back GUARANTEE: If you decide your copy of ‘T’ai Chi For Life, Health and Fitness’ isn’t right for you, just let me know within 60 days and I’ll give you a prompt 100% refund – every penny you paid. That’s a full refund, not partial or pro-rated. The thing is, I’m more than happy to take all the risk, so you don’t have anything to lose. You’ve got my word on it…yes; I’m very protective of my reputation. Could this offer be any fairer? Written by Dr. Stewart McFarlane – Follow 287 pages of detailed instructions, showing how to perform the Cheng Man Ch’ing Form in less than 10 minutes a day. You’ll very quickly realise why these unique illustrations are so valuable and effective to your new and stimulating regime. This can be truly life changing – do you feel the time is now right to do something a little different? full-colour illustrations in the main book, so you’ll be able to watch the movements as a slide show. This ‘action sequences’ method is the only one of its kind in the world and is exclusive to this particular offer. Inside this special, beautifully illustrated 72-page report, you’ll discover the rich, turbulent history of T’ai Chi Ch’uan and how it came to embody the physical and spiritual core of Chinese culture. Inside this special report, you’ll discover what to look out for – and more importantly – what to AVOID when choosing a T’ai Chi coaching class. You NEED to see this if you’re seriously considering practising in a class setting with other people. Get this wrong and you’ll probably give up, never to return, denying yourself all the major benefits T’ai Chi has to offer you. Listen: Do you REALLY want to carry on trying every new ‘celebrity’ sweat-inducing, muscle-aching fitness routine that comes along? Do you REALLY want to follow the latest fad diet routine that MAY work for a few days, wasting your money on food you’d NEVER normally touch – only to be disillusioned again and leave you even more despondent and annoyed? Do you REALLY want to stumble along trying to learn the Form from photos and videos, that’ll make you look like a stumbling robot? The bottom line is this: T’ai Chi has stood the test of time and is practiced by countless thousands of people around the world every day who enjoy its health giving benefits. Yes, it’s true; once you start you’ll actually miss it if you let a day go past without a T’ai Chi session…it’s that powerful! Take this leap of faith and experience the joys of T’ai Chi today. …the choice is yours – no matter your age – you’ll be able to make a start sooner than you think! You’ll be taken to our totally secure order processing system, where you can order your copy of ‘T’ai Chi For Life, Health and Fitness’ package in complete safety. With just a few mouse clicks, you’ll be digging into its informative and well illustrated pages in a couple of minutes. So now’s the time to act and get your copy of ‘T’ai Chi For Life, Health and Fitness’, the unique, time-tested way to improve your long-term health, fitness and flexibility in less than 10 minutes per day! P.S. Look, the ‘T’ai Chi For Life, Health and Fitness’ book including three outstanding bonuses… complete with your fully protected, iron-clad money-back GUARANTEE, concentrates on giving you improved health and fitness, achieved through a combination of regular low-impact exercise routines under the guidance of an experienced and authoritative teacher. P.P.S. In today’s busy, roller coaster world – you deserve to be as happy and healthy as you can be – without the need to torture yourself with vigorous fitness regime and fad diets. You’ll find this new and exciting method will actually stimulate you as it has so many others who’ve discovered a welcome return to their energy levels. It’s something you can finally look forward to; something you can enjoy at a time, and place, of your choosing. If you can now truly ‘see’ the why… I’ll show you the how. …do let me know how you get on!